Frisky Dingo | Papyrus Watch - Exposing the overuse of the Papyrus font. 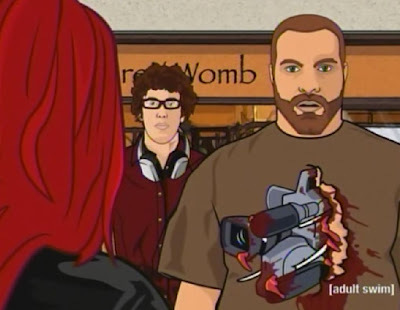 Here's a shot from Frisky Dingo on Adult Swim from Tom (good eye). We've seen this before on Tim and Eric and think it's probably on purpose, so that's funny.